Conform to day, with location, and create, create brilliant. 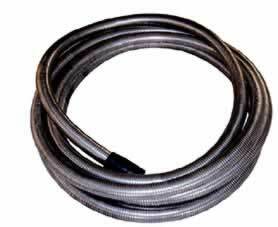 The hose for well control-GNG high-pressure, fire-resistant and heat-insulation hose assembly is mainly used for the hydraulic control of the BOP for drilling and for hydraulic transmission at high-temperature and flammable places in the metallurgic industry. 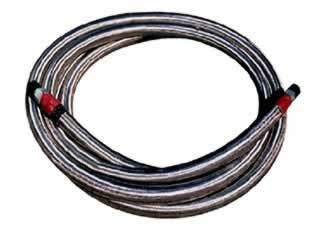 2、Product classification: high molecular polymer jacket type, stainless steel armored jacket type and braided stainless steel wire jacket type. 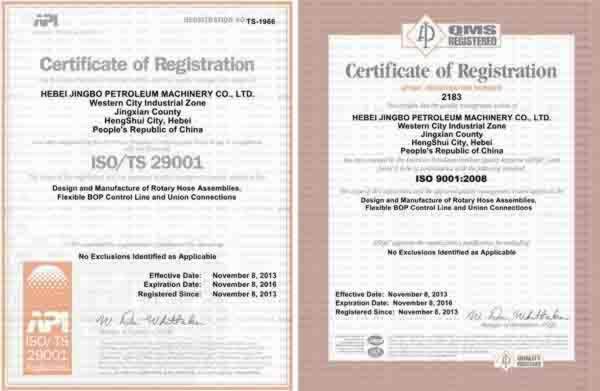 about us/Quality first, users first. 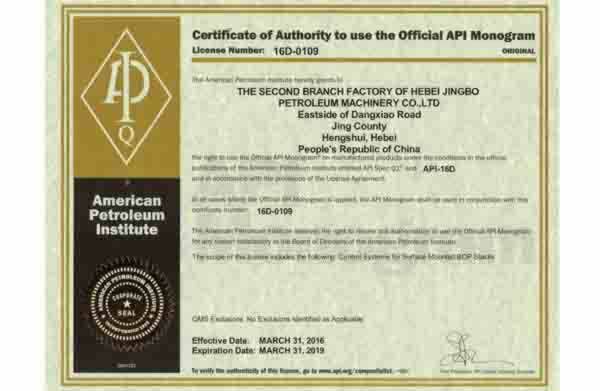 Jingbo Petroleum Machinery CO. LTD, Jingxian County Hebei Province, founded in 1986, is the first grade network department of CNPC, CNOOC and SINOPEC and the fire-proof hoses branch company of well control units manufacturing center of CNPC. 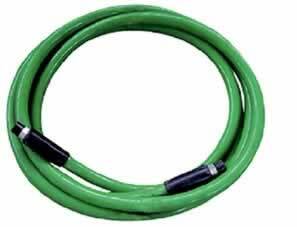 It is a member of IADC. 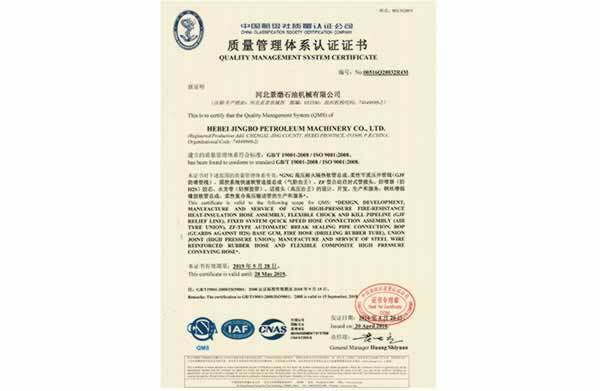 ISO9000 quality management system of China Classification Society was certified. 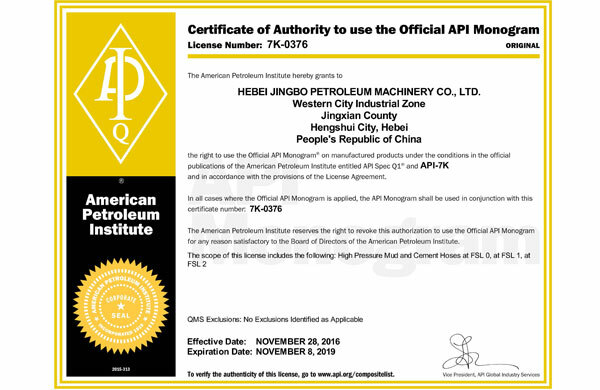 API Spec 7K, API Spec 16A and API Spec 16C was certified. 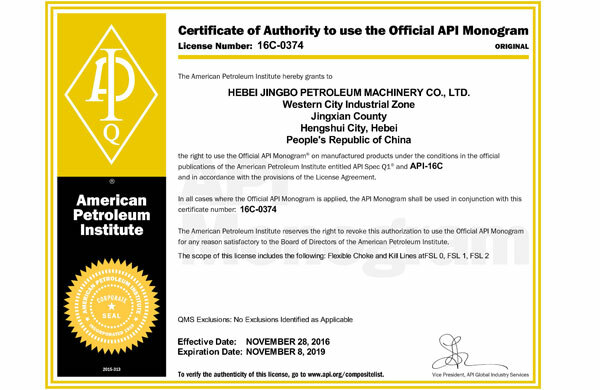 HeBei Jingbo Petroleum Machinery Co., Ltd. 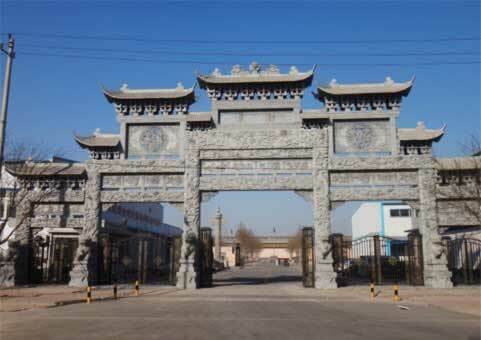 Address: Chengxi Industrial Zone, Jing County, Hebei Province, China.